Boeing has sent more of its personnel to engine supplier CFM to give the Chicago-based airplane maker more precise insight into what so-called long-lead items continue to slow delivery of Leap-1B engines for the 737 Max program, according to Boeing CEO Dennis Muilenburg. Speaking during Boeing’s fourth-quarter earnings call, in which the company announced record revenues, profits, and deliveries for the period, Muilenburg singled out CFM as one of the last suppliers with which the airframer needs to work to “synchronize” workflow before executing on a planned production rate increase to 57 per month this year. 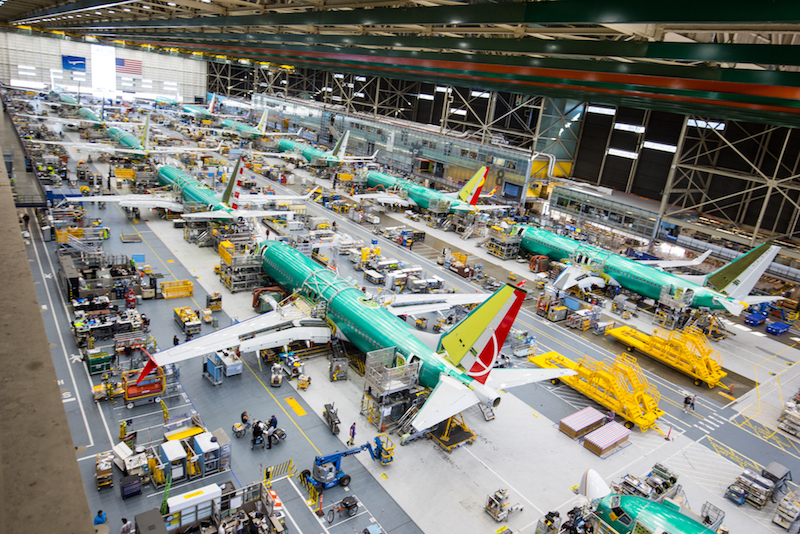 In fact, Boeing expects this year’s first quarter to account for the least number of deliveries of any quarter in 2019, and January the lightest month of all, reported Muilenburg. Meanwhile, whether Boeing can again achieve a 1:1 book-to-bill ratio looks less likely in 2019, following a year in which it took net orders for 893 airplanes while delivering 806. The Boeing chief executive called the expected “moderation” of orders a natural effect of local decision timing as, for example, China prepares to execute on its next five-year economic plan. Meanwhile, whether or not efforts related to new programs culminate in the launch of the so-called NMA, or new midsize airplane, remains a question Boeing hasn’t yet committed to answering in the next quarter or two. However, in order to “protect” a 2025 desired entry into service, the company will need to issue so-called authority to offer some time this year as it targets an industrial launch in 2020, reported Muilenburg.